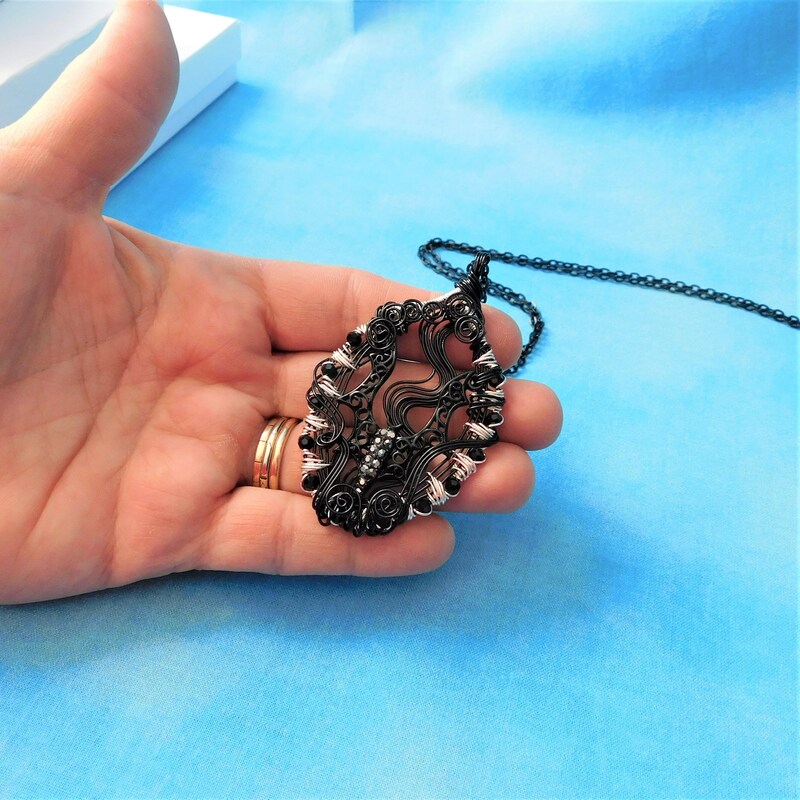 Bat Bling! 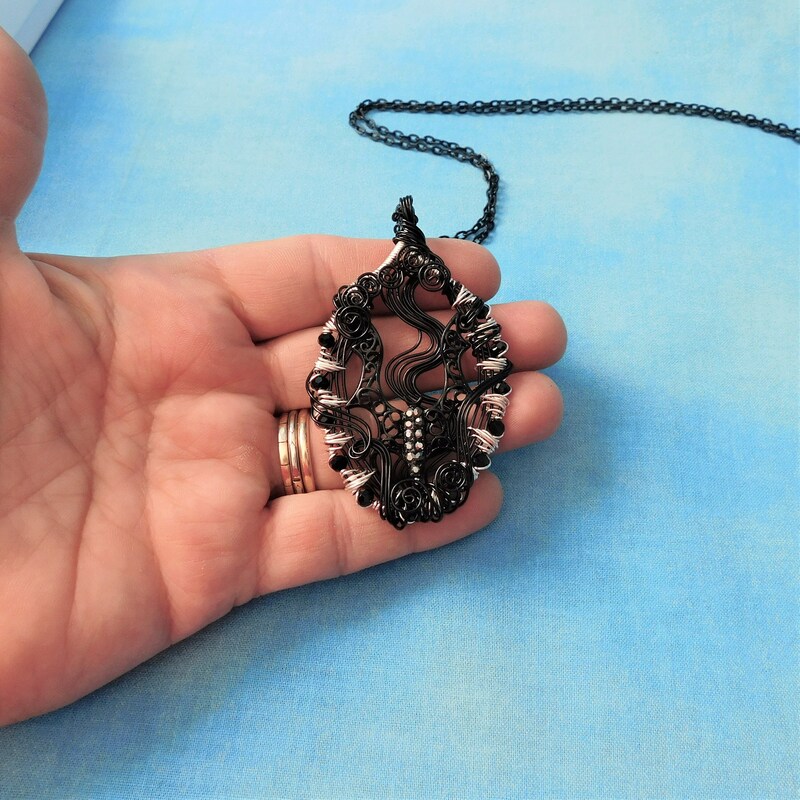 Not just for Halloween anymore. 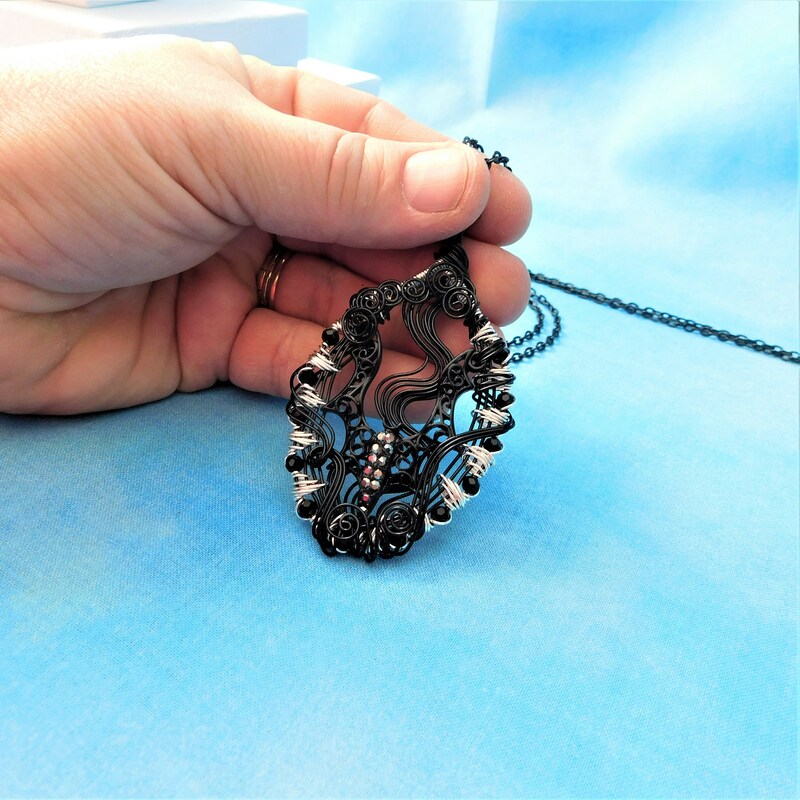 A beautiful black bat is embellished with rhinestones for an attention getting look. 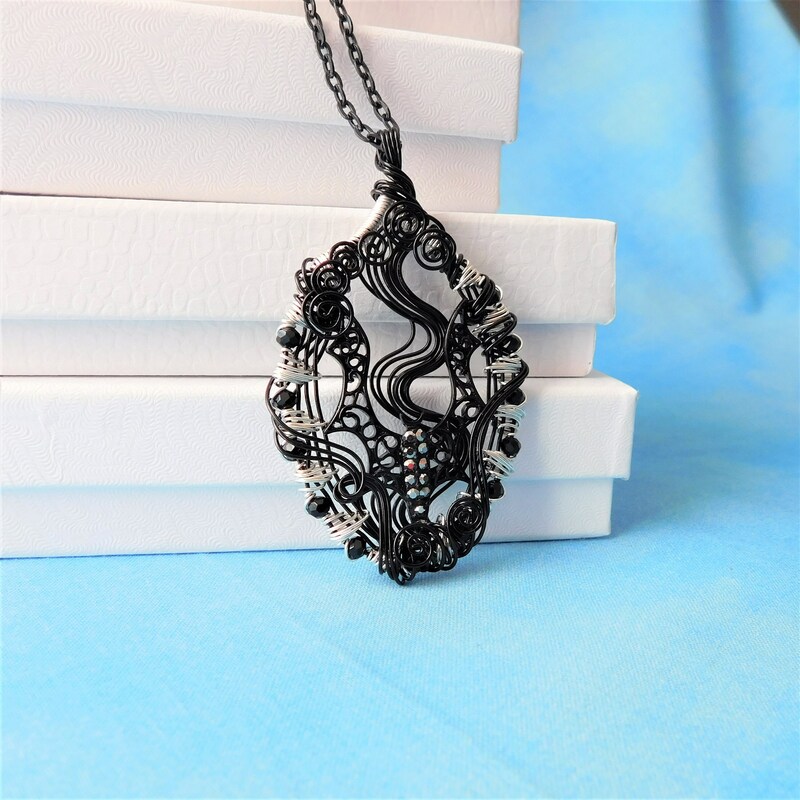 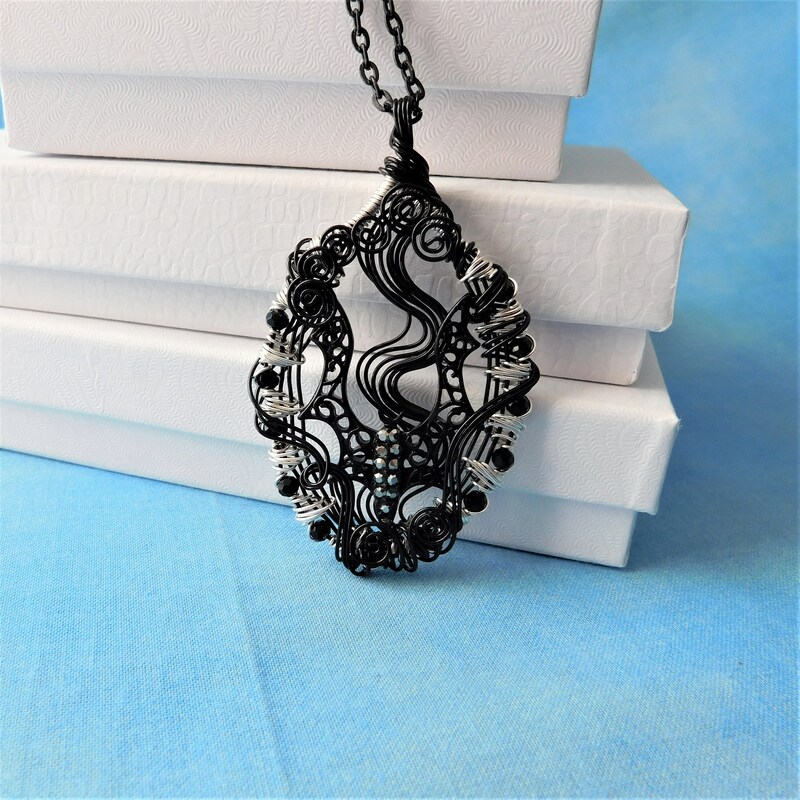 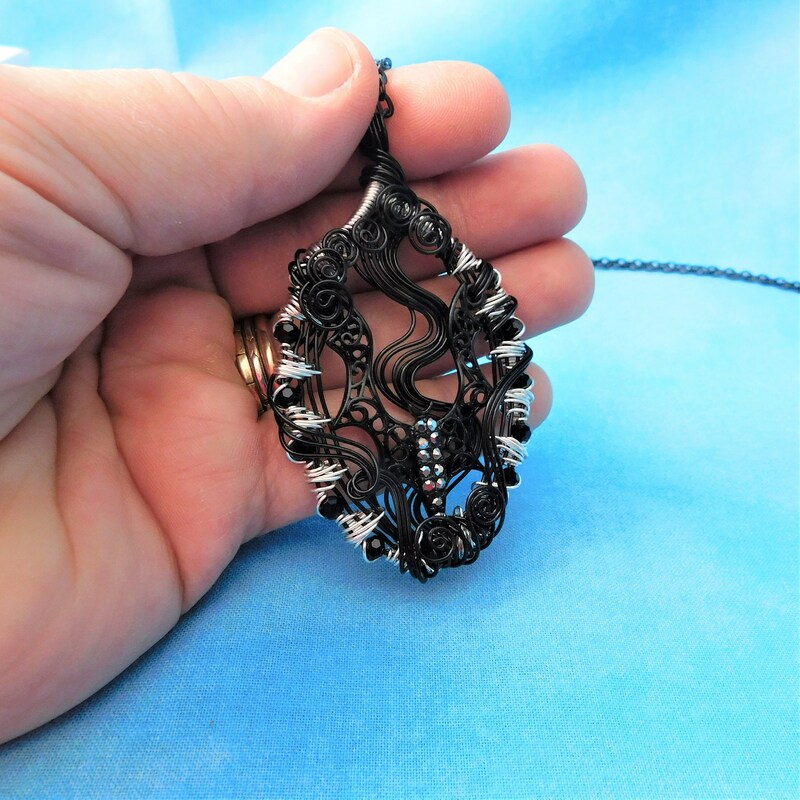 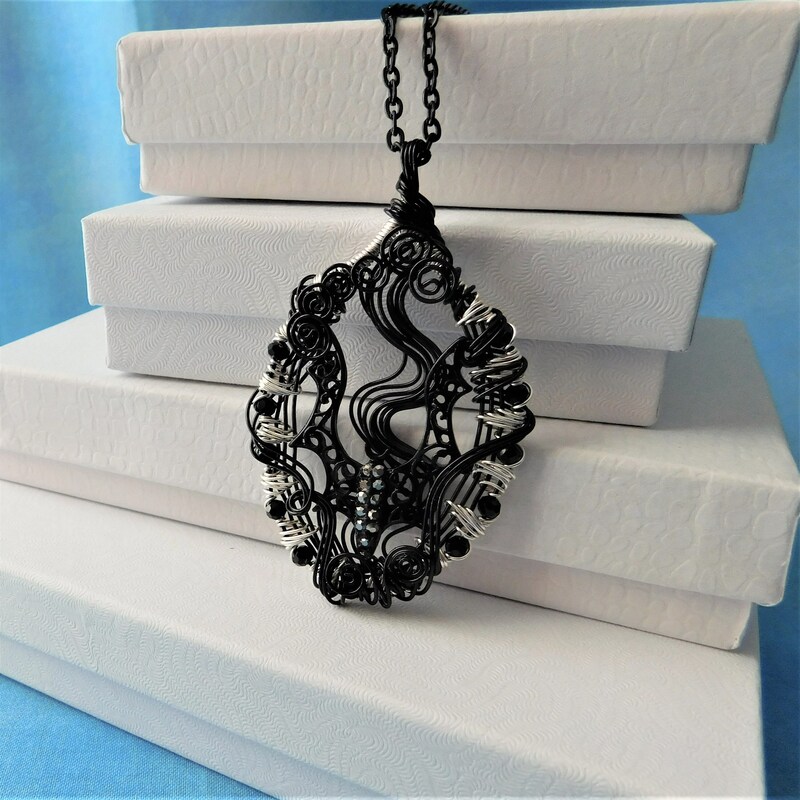 This splashy bat is framed in black hand woven wire, meticulously interwoven with black crystals, for an elegant and unique piece of art. 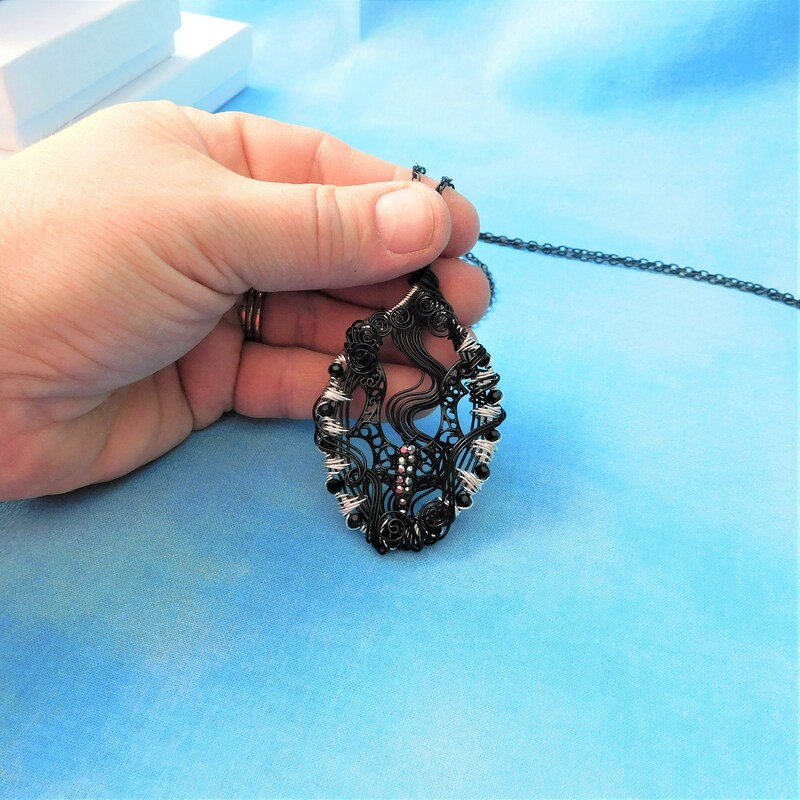 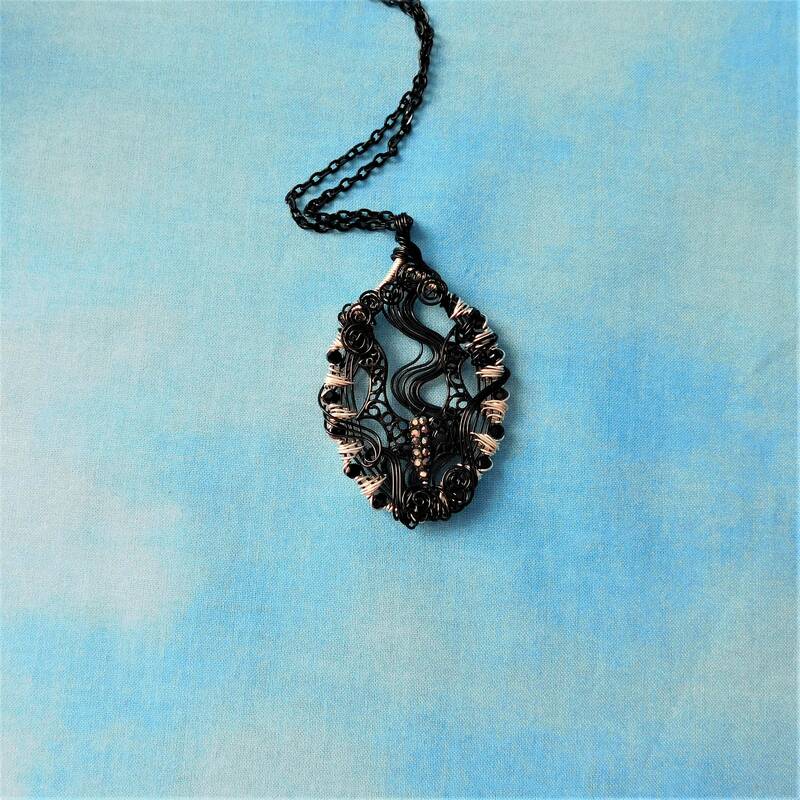 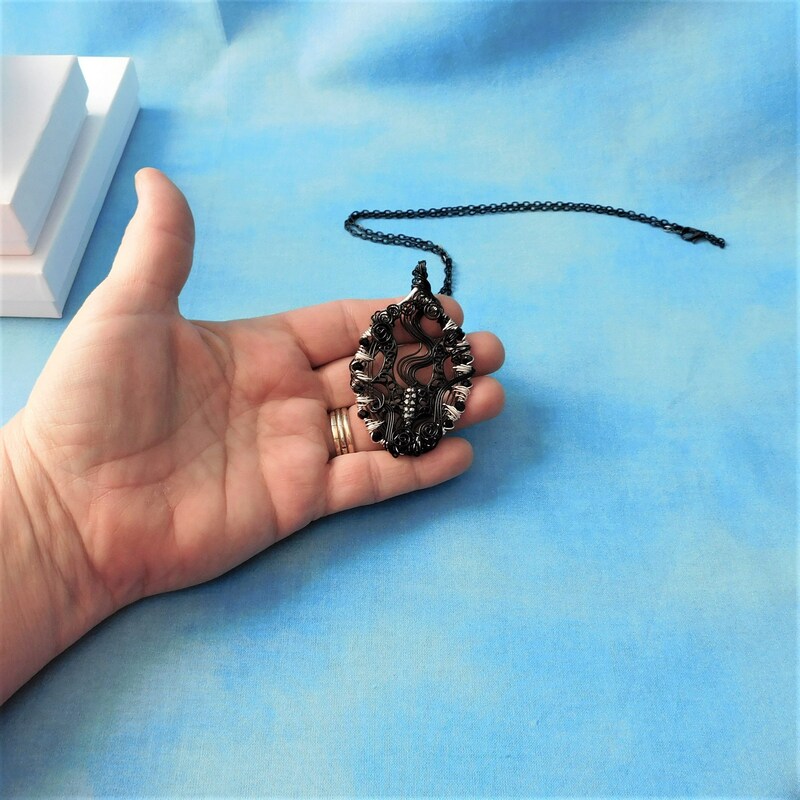 The pendant measures 2 inches by 1 3/4 inches and comes with a coordinating black metal chain with lobster claw clasp, measured to your preferred length.